In the 1930s like four people could afford ice. The rest of them were in the bread lines. 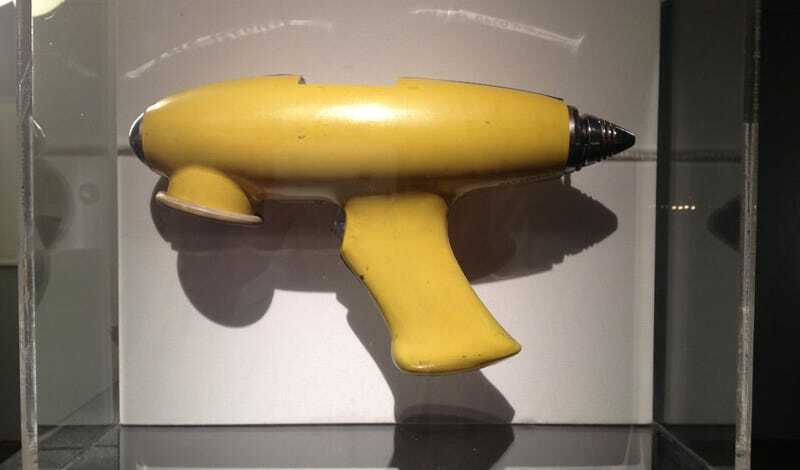 The monocle-wearing oil barons who were sipping on cold drinks spared no expense—at least one crushed his cubes with this replica ray gun. Nerds in the 30s and 40s were super fascinated with space around this time because of strides made in aerodynamics and comic book characters of the era like Buck Rogers and Flash Gordon. Thus, space-themed house wares. Guys with slicked back hair who used canes but didn't need them and walked around wearing smoking jackets would be like "hey ladies check out my ray gun." Then they'd pull the trigger and ice would shoot out of the barrel. Clink! Women would fan themselves and ohh and ahh and be super impressed. Meanwhile hobos are pressing their face up to the window wondering if the gun was edible.